Whisk together the oil, vinegar, honey, salt and pepper. 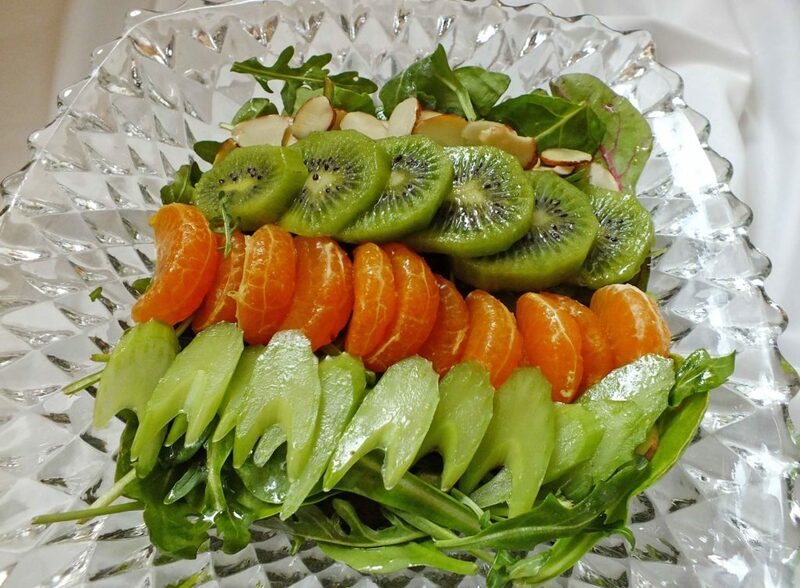 Toss the kiwi, tangerine, and celery together with the greens and vinaigrette in a bowl. Divide among 2 plates and sprinkle with toasted almonds. 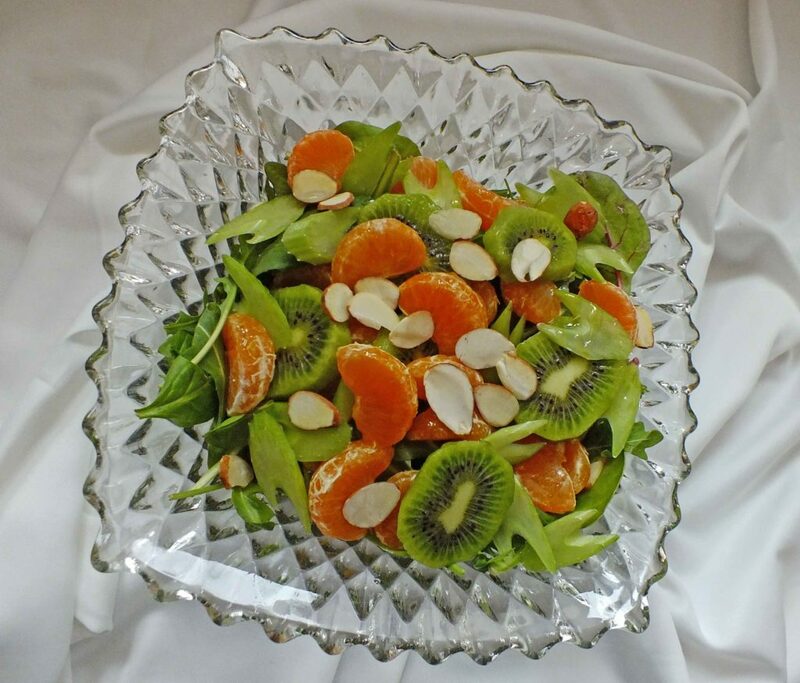 Or place the greens on two plates and artfully arrange the kiwi, tangerine, sliced almonds, and celery slices, then drizzle with the vinaigrette. *To toast sliced almonds: Heat oven to 350°F. Arrange almonds on a rimmed baking sheet and toast 5 – 8 minutes until fragrant and lightly browned. Remove from pan and let cool.